DETROIT (Reuters) - General Motors Co (GM.N) plans to add a second shift at its Detroit-Hamtramck plant, responding to forecast demand for the four models the plant makes and anticipating production of Cadillac's new flagship sedan, the company said on Thursday. 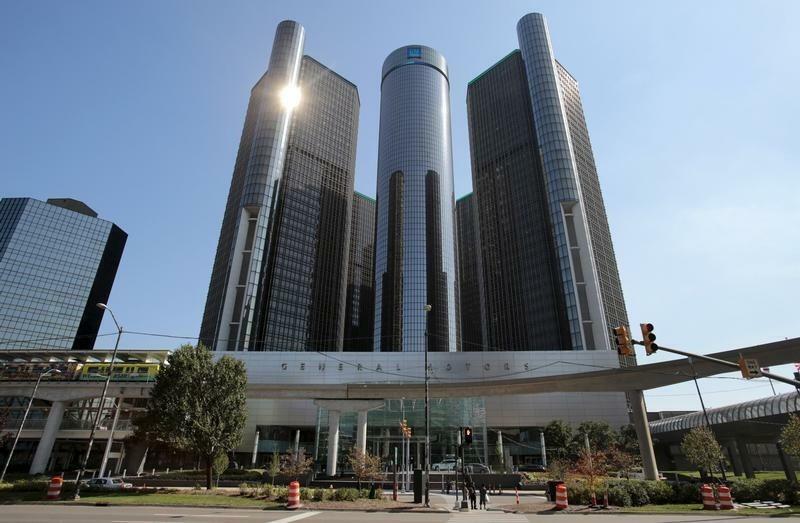 News the company is expanding work at its last remaining Detroit plant came just as the United Auto Workers union is set to decide whether to enter its next round of focused labor talks with GM or Ford Motor Co (F.N). The UAW was expected to confirm later on Thursday that Fiat Chrysler Automobiles (FCAU.N)(FCHA.MI) workers overwhelmingly ratified a new four-year contract, meaning the union will then look to either GM or Ford to agree its next labor pact. Both companies would like to be up next for union negotiations, so they are not as greatly affected by the talks that preceded them. The second shift at Detroit-Hamtramck, to start in early 2016, will add 1,200 workers at the plant, which will then have 2,800 workers, GM said. The plant is located in both Detroit and the city it nearly envelopes, Hamtramck. It is highly flexible, having the ability to build models based on different underpinning chassis. The plant will start producing the Cadillac CT6, Cadillac's new flagship sedan, in the first quarter of next year, a GM spokesman said. Hiring is under way for the second shift at the plant, also called "D-Ham," where GM produces high-volume sedans Chevrolet Malibu and Impala as well as the plug-in electric-gasoline hybrid sedans Chevy Volt and Cadillac ELR. The new workers will add to the 52,700 UAW-represented hourly workers now employed by GM in the United States, where it is the No. 1 automaker. There are an additional 400 GM unionized workers who are members of other unions. The new workers will make the prevailing starting UAW-GM wage upon their hiring, which now stands at $15.78 per hour but is expected to rise when a new contract goes into effect. The new pact with Fiat Chrysler, which will be used as a pattern for the basic outline of the GM and Ford deals, calls for a $17 per hour starting wage and an eight-year path toward top pay which by the end of the four-year contract will be about $30 per hour. GM announced nine months ago that it would invest $300 million to upgrade and heavily automate the D-Ham plant. The last U.S. GM plant to add a shift was its Lansing-Grand River plant in Lansing, Michigan, in order to produce new version of the Chevrolet Camaro.